Credit Card Internet Fraud is one of the most common crimes in cyber space today. It can be as simple as being charged for a dollar online purchase and then the merchant using the card to charge other purchases. This is much easier for a thief than the old fashioned way of actually stealing the credit card and account details. It affects not only the card holders, but the merchants as well. Each year, hundreds of millions of dollars are lost to fraud. As well as business, for example: some people may shy away to charging online and as a consequence business is lost to honest merchants. While most countries have done their part in preventing card fraud, there are still isolated incidents of this cyber crime. There are several ways to avoid this depletion of your financial resources. Perhaps the most important way is by keeping informed. Personal vigilance is one of the keys to prevent this fraud. Maintaining up-to-date personal financial records keeps a credit card user aware of purchases made under his or her name. Card issuers often send out the billing statement a month before the payment due date. This allows the card holder ample time to verify and dispute questionable purchases. Billing statements should be kept and filed for at least a year for reference. They should be shredded before discarding. In making online purchases, the card holder should be on the lookout for the secure sign (https:) in the front of the domain name listing of the merchant’s website. When a site looks suspicious, the purchase should not be made. Online merchants should also be aware of ways to avoid credit card fraud. 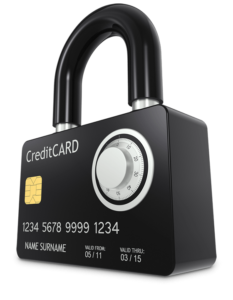 Extra steps in the online purchasing process can be added to provide more security. Follow-up email is one simple add-on. Before pushing through the purchase, a verification email should be first sent to the card holder and will only proceed once the purchase is verified. A telephone call may also be made as part of the verification process as email accounts can be hacked easily by cyber thieves. There should also be efforts to invest in software or Internet tools to protect online transactions. The website should be using the Secure Socket Layer (SSL) Web protocol. This can be requested from the hosting company of the third-party website administrator. Online merchants should also be aware of the “carding” technique where credit card thieves try to make small donations to non-profit sites using a stolen card to test their validity. Seeing small purchases made successively by just one credit card account will show online merchants that cyber thieves are using the credit card possibly in a suspicious manner. You should always examine your credit card billing statements every month to look for very small charges as little as 25 or 30 cents. This is a scam in which a thief will charge several hundred or more cards a very small amount, in this way the crook can accumulate a good bit of money without attracting the attention of the card holders. Report any small charges you can not account for to your card services and don’t pay them. In instances of credit card fraud, the public may seek assistance from the Federal Trade Commission at ftc.gov. The Federal Trade Commission helps by sending these instances, whether online or offline, to Consumer Sentinel. Consumer Sentinel, on the other hand, makes its online database available to law enforcement agencies in the United States and overseas. Avoiding credit card fraud does not only allow card holders to dodge financial hassles, but also to maintain an excellent credit rating. Security from this fraud starts with being informed. That is why it is important that you understand your credit card bill. Armed with the proper information, card holders and online merchants can effectively make preventive and reactive measures to stop online fraud.